Today, we focus once again on tournaments, manders, and PvP in general. 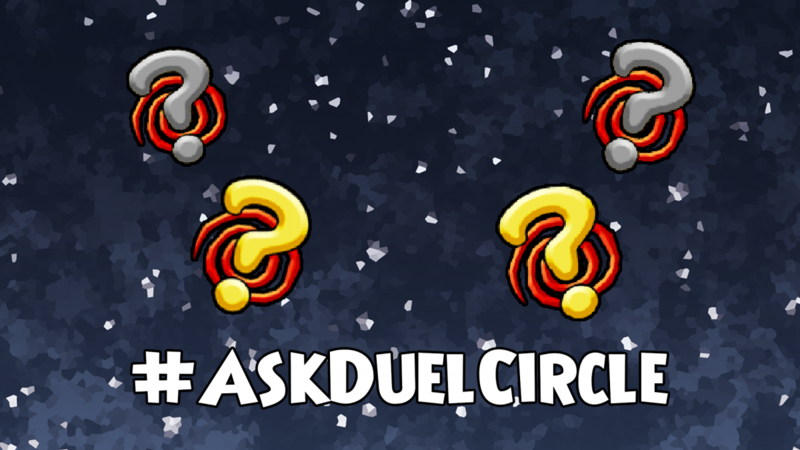 Will DuelCircle ever host an invite-only tournament in the future? This question has bounced around a ton over the years. We had considered it at one point a while ago as well. Back in 2017 when we hosted our first tournament during the Fansite Festival we had the idea to host a tournament with some of the most successful competitors we’ve seen as well as some of the most popular players on the leaderboards. I think at the time we simply felt that we shouldn’t have an exclusive tournament with prizes because we felt that everyone should have the opportunity to sign up and win regardless of their own success. This is something we absolutely won’t do for our two biggest tournaments of the year but we could potentially do it for the Fansite Festival in the future or Wizard101’s Birthday since those are when we usually host our minor events. What was the reasoning behind creating Clash in 2015? Clash was originally designed to test the deck building skills rather than overall skill in PvP. This had been accomplished by restricting certain cards, changing the battle environment, or adding other staff members to cast spells at certain points. Our tournament was more of a science project where we wanted to test different variables and ask “What would happen if we did X?” during the event. We wanted to use our results as a way to influence change to the current PvP system and the overall mindset of competitive PvP. How many manders does it take to change a lightbulb? The DuelCircle YouTube account is dead. Why not have the organizers record themselves in the queue since they aren’t even warlords. Not gonna lie, we’re gonna need some ice for that burn. We know the DuelCircle YouTube is more of a VOD channel than anything right now. Obviously, we plan on utilizing it much better than we have. In the near future, expect future Beyond The Spiral episodes, and at least some memes there. In all seriousness though, we understand how DuelCircle’s tournaments might not be taken as seriously because of how the organizational team might be “washed up”. The organizational team is the face of our branding and it can be easy to call us out when we’re the ones orchestrating everything for our tournaments when it comes to our wacky gamemodes or our generalized rules. This is why we wanted to make changes not only to the tournaments itself but also make changes to our own work ethic so that we can interpret and understand the scene much more. We get it, we understand your frustration and we wanna change that. NextWhat Goes Into a Gamemode?